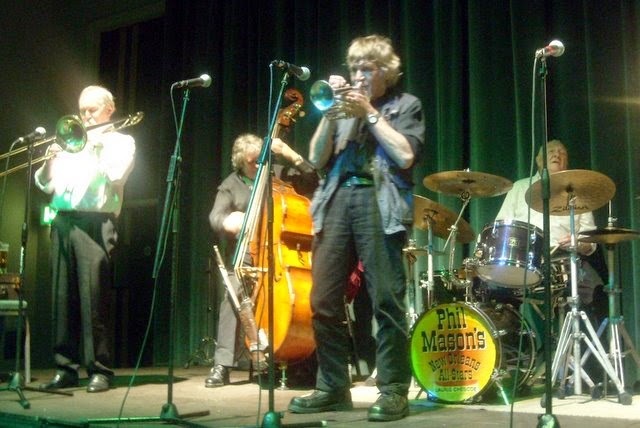 Sad to hear of the death of Phil Mason, New Orleans style trumpet player, some time last night (June 9).. I recall a gig at the Saville Exchange in North Shields back in 2009 where Phil and his New Orleans All Stars gave an excellent performance. (Review). Also suggest looking out for CD "Swing That Music" one of many albums by the band. Sadly missed by all in the Trad fraternity and beyond.